Focus Infosoft Payroll Manager is the preferred best in class payroll and HR management software for Indian businesses. It enables the HR Domain of the company to manage the HR and payroll operations and task effectively and efficiently. It reduces and simplifies the workload while delivering best in class accurate and super-fast results. Developed with advanced technology, it is a window based app. The software targets the key areas of HR management of staff member details, salary details and class wise information. It includes the effective management of all HR operations namely, performance tracking, salary and allowances. 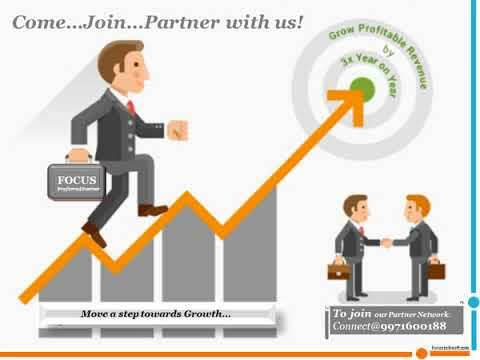 Focus Info Soft Private Limited was established in the year 1999. Focus Infosoft Group is an innovative technology services and solutions provider benefiting the customers by creating new or improving the existing systems with the next-generation technology. The group offers software products, customized developed solutions and e-marketing solutions that support and enhance your business models and also provide a cutting edge over your competitors. Q. What is e HRMS?